Our Cantors and choir inspire congregants with a uniquely captivating and unforgettable 'Great Synagogue experience'. 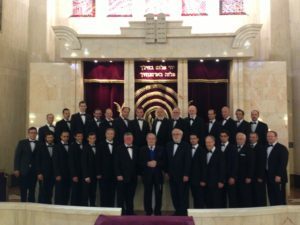 The Jerusalem Great Synagogue Choir is the only institutional synagogue choir in Israel. No other choir in the world has greater expectations. Orthodox Judaism forbids using electricity and musical instruments during Sabbath and holidays, so the choir uses no microphones or amplification or even tuning forks. Chazzan Adler was born in Tel Aviv, in his younger years he sang in Shlomo Ravitz’s choir and learned Chazzanut from Chazzan Leib Glantz, which saw in him a bright future in the world of Chazzanut. Chazzan Adler served as a chazzan in Young Israel Forest Hills, New York, as Chief Chazzan in Finchley, London and as Chief Chazzan in The Tel Aviv Great Synagogue. Today Chazzan Adler serves as the Chief Chazzan of The Jerusalem Great Synagogue. Chazzan Weiss was born in New York, USA. Weiss learned with Dr. Mordechai Sobol & Chazzan Moshe Stern. 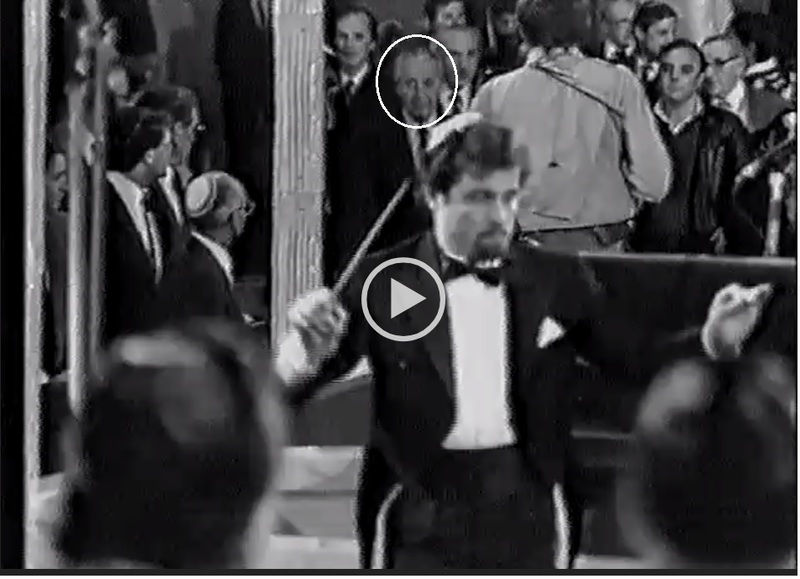 He appeared in concerts with the Israel Philharmonic Orchestra conducted by Dr. Mordechai Sobol. Cantor Weiss serves as the cantor of the Jerusalem Great Synagogue during Selichot & the High Holydays services, and from time to time during regular Shabbat & Holyday services. Chazzan Kirshenbaum was born in Jerusalem to a musical family, and from his youth he sang at venues including Hasidic courtyards. He studied at the Central Cantorial School in Tel Aviv and in Petach-Tikva, as well as under maestro Elli Jaffe and Raymond Goldstein. He serves as Chazzan in St. John’s Wood synagogue in London, England. Born in Jerusalem, Jaffe graduated with distinction from the Rubin Academy. He later studied conducting, winning prizes at the Royal Academy of Music in London. 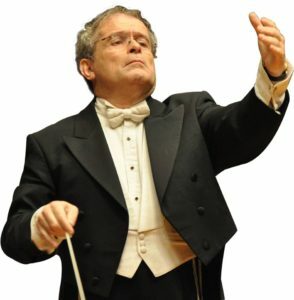 He has conducted all of Israel’s major orchestras as well as the Royal Philharmonic, the Liège Philharmonic, the Baltimore Symphony, Bolshoi Theatre, Budapest Opera house, Mexican philharmonic of which he was offered to become Music director, an offer he decline because of Shabbat, and also the Prague Symphony Orchestra, where he holds the title Honorary Guest Conductor. Artistic director of The Cantorial Center in Petach Tikva, Elli has founded the first Cantorial school in Israel (After Leib Glanz). 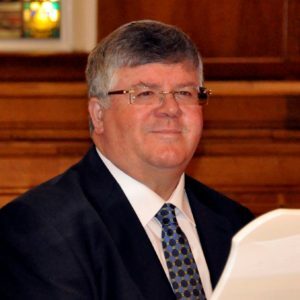 He is also music director of the Jerusalem Great Synagogue Choir, as well as of the Europe-Israel Foundation for the Advancement of Jewish Liturgical Music. Jaffe has published an encyclopedic instructional set for the entire annual cycle of Hebrew liturgy, and he is preparing an analytical book on Jewish prayer modes. Elli is an associate of the Royal Academy of Music. Awarded the Jerusalem prize for his contribution to Jewish Music. He is also an accomplished composer, and his works are performed all over including prestigious orchestras round the world. Conductor Elli Jaffe conducting choir and members of the Israel Philharmonic Orchestra. This event was simulcast with the Grande Synagogue de Paris also known as La Victoire Synagogue. Shimon Peres, the Prime Minister and later President of Israel can be seen making his way to his seat. Raymond Goldstein was born in 1953 in Cape Town where he completed his musical studies. Since 1978 he has been on the vocal faculty of the Jerusalem Academy of Music specializing in opera, musical theatre and Jewish art music among others. He also holds the post of music - arranger (associate-conductor) to our choir where he has over 800 to 1,000 works to his credit. In 1991 he was appointed senior teacher at the Tel Aviv Cantorial Institute. As musical director/accompanist, he frequently appears both on stage, radio and television in Israel and has undertaken concert tours in Australia, USA and Western Europe. He has made professional recordings with international cantors and singers, and as accompanist and /or arranger, his name appears on more than 300 CDs, cassette tapes and DVDs. His compositions include a chamber opera, 2 cantatas, a concert Kabbalat Shabbat service , orchestrations, works for chamber ensemble, and numerous arrangements [More than 2000 in total ], sacred and secular.